Functional Lego Star Wars Pinball Machine #SciFiSunday « Adafruit Industries – Makers, hackers, artists, designers and engineers! 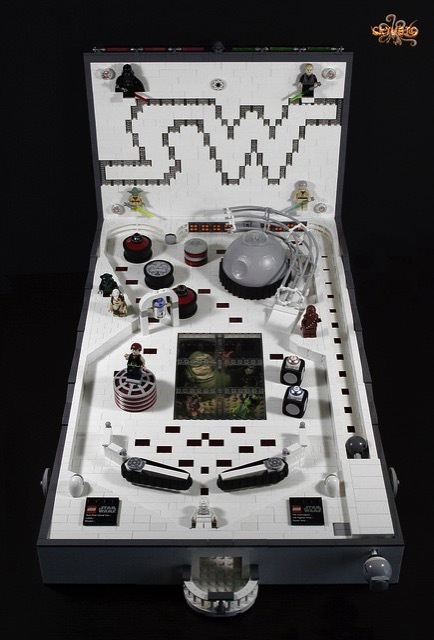 Incredible Lego pinball machine build from a couple years back on The Brothers Brick . French Lego fan Jimmy (6kyubi6) made a working pinball machine with lights and working flippers and ball launcher. I’m sure it’s just what the Empire needs to keep all the stormtroopers entertained during downtime on the Death Star. How many points do I get for hitting R2-D2?